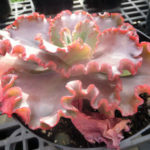 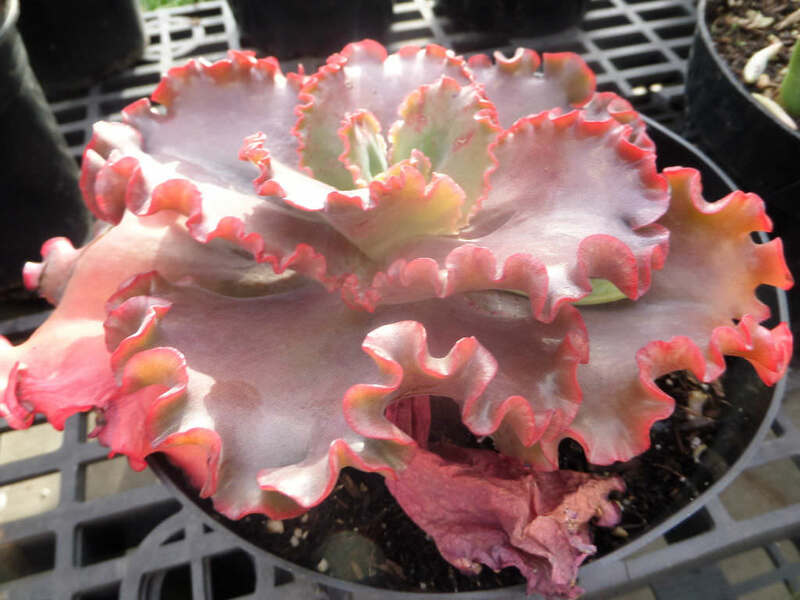 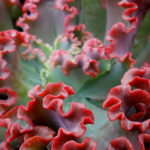 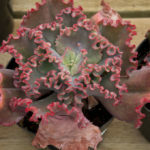 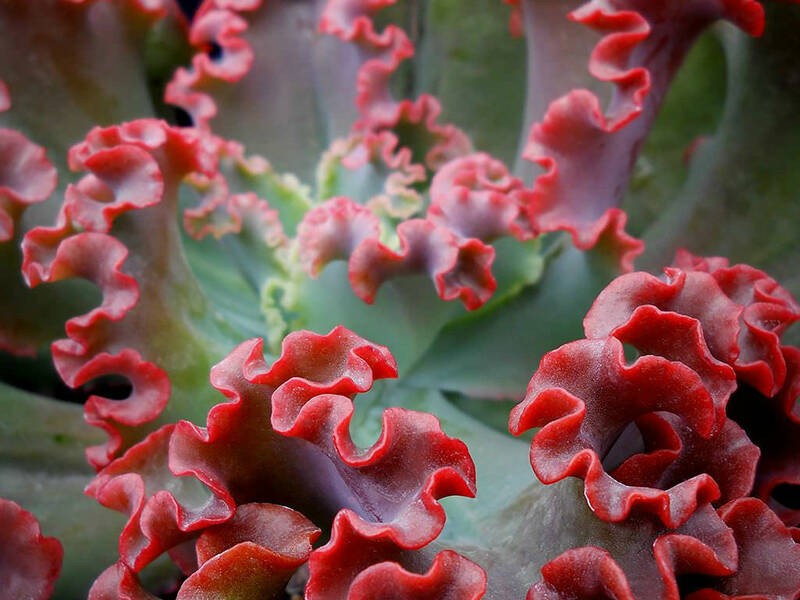 Echeveria ‘Crimson Tide’ is a distinct Echeveria hybrid created by Renee O’Connell. 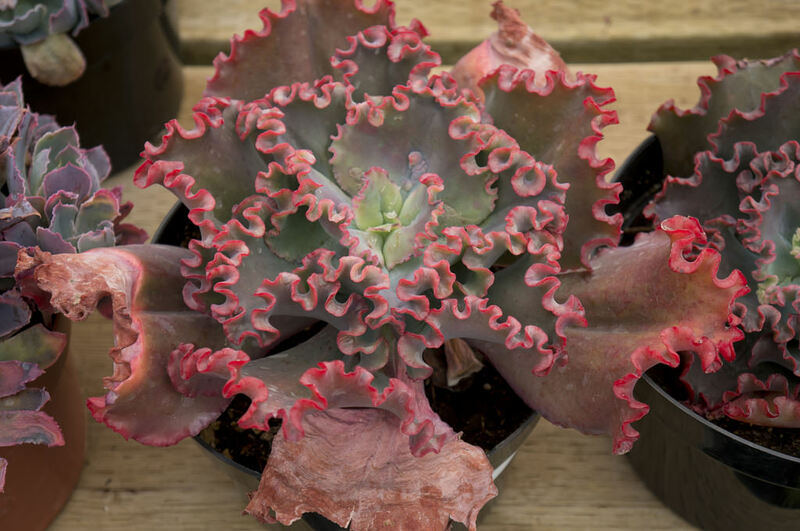 It forms large rosettes up to 10 inches (25 cm) in diameter, of leaves characterized by unique, vividly colored leaf margins which are unusually undulating and thick. 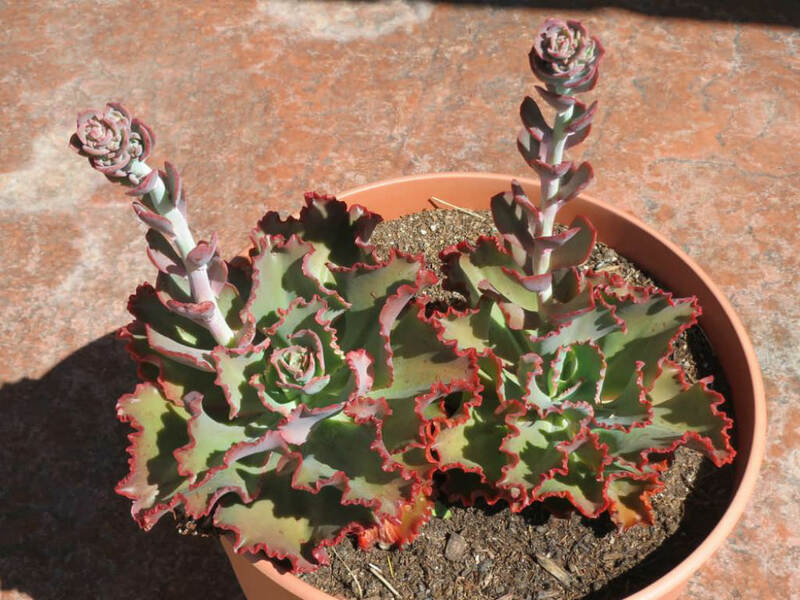 Hummingbirds love the profuse tall flowering stalks with bell-shaped flowers filled with nectar.